It is with this rather eloquent statement that John Hulbosch, or John “the Dutch Baker”, starts his account of how he brought the taste of bread typical for the Netherlands to a store at the heart of the Balkan Peninsula. 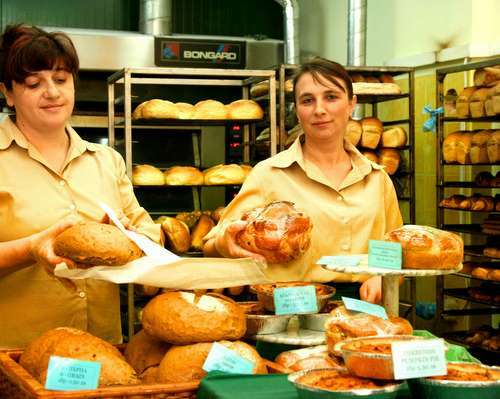 Located on one of the minor streets in downtown Sofia – “Angel Kanchev”, right off the central Patriarch Evtimiy Blvd, his bakery is a colorful, bright spot amidst the squished and somewhat gloomy older buildings. What is more, it is even brighter and more welcoming inside where the assistants greet you with something still rather untypical for Bulgarian shops – a smile. John points out that the name he picked for his bakery is about as unique as the way he started his Bulgarian business. He wanted to combine the name “John” with the most popular Bulgarian name “Ivan” – this is how he got “JoVan”. A professional baker, John first got excited about baking bread and pastry at the age of 8 when his parents – who initially immigrated to the USA in the 1950s but several years later returned to the Netherlands – would bake American apple pie every Saturday. 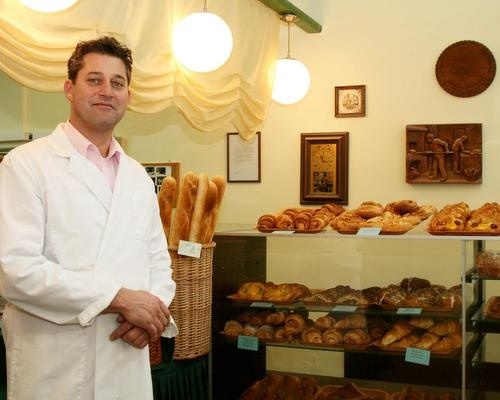 Before setting up his colorful bakery in Sofia, John went through all the levels of the bakery craft in his home country – from helping out a local baker on weekends, to going to bakery school, becoming a bakery teaching, and getting a MBA, and becoming a senior manager in a Netherlands bakery chain. Yet, he points out that he gave up much of his career in his home country in order to be able to set up and run his Bulgarian business. John admits to having struggled big time in his first couple of years in Bulgaria – for a number of reasons that some might consider obvious. John is not very eager to talk about the process of getting things organized for his Bulgarian bakery but points out that while the bureaucratic procedures and the renovation were going on he took his time to travel around Bulgaria and to get to know the country. He goes on to point out that there is a difference between the people from the countryside and the people from Sofia, which are like two different worlds. In his view, the Bulgarian nature is amazing, and one could have a great life in the countryside, whereas “Sofia is for enjoying life in another way”, with its business venues, and good restaurants. Yet, John stresses, before he started his bakery, he could not find tasty bread in this city. What’s wrong with bread in Bulgaria? “I like it because of the variety of unique products that you cannot really find elsewhere in Sofia, says an elderly lady shopping in bulk at JoVan’s. This seems also to be the opinion of a 20-something-year-old student who is picking up a fruit croissant, and who also adds that she really loves the service and the friendly atmosphere. He makes it clear that his goal as a manager was to appeal to a larger demographic group and to make sure that his products are not too overpriced, and that everybody would be able to buy something – a valid point in a post-communist city where there are a number of wealthy people but also a great deal who are struggling. 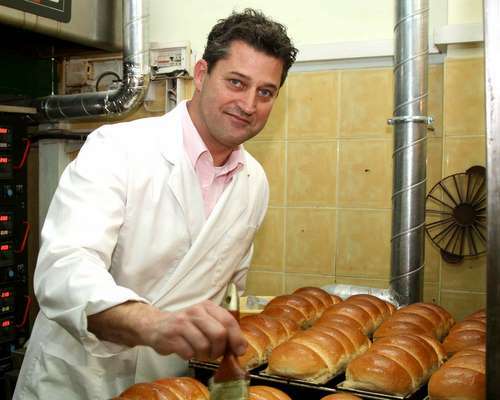 Among his clients, John says, are many expats and also Bulgarians who have spent time abroad, and have developed a taste for bread products and pastry that are not traditional to the Bulgarian market. Yet, most of the shoppers at JoVan’s are appear to be average Bulgarians of all ages. Some of the people coming to the Dutch bakery in Sofia are actually from other cities like Plovdiv and Veliko Tarnovo who happen to know be in Sofia. And of course, most of the several Dutch expats living in the city are regulars. The wide range of products that attracts people from all walks of life includes some bread products typical for the Netherlands, France, Italy, and Germany. 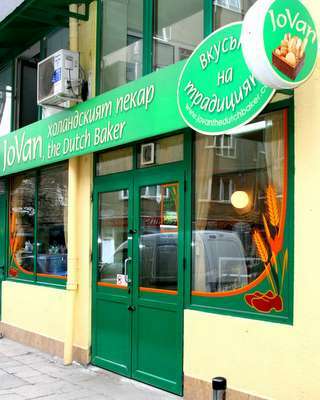 But the Dutch bakery also features five types of more or less typical Bulgarian products – banitsa, kozunak (sweet Easter bread), graham bread, rye bread, soda bread. The top traditional Bulgarian pastry – banitsa – that JoVan’s offers “is a combination of Bulgarian and Western European style of producing”, in John’s words. “And we are always trying to be innovative, to create new types of products – with good taste,” he explains. He explains that the base of his products - fresh eggs, butter, flour, margarine - comes from Bulgarian markets but that there are special ingredients imported from Belgium, Spain, Greece, Netherlands, Germany. “It’s a hard job.” This is John’s succinct description of his Bulgarian endeavor. “The main thing is that the bakery business is my passion. In the Netherlands, I reached the level of a manager of a department with 120 people. Everything was well organized – business car, pension, salary, bonuses. But it became clear that the distance to my real passion was so big that the only job I had was meeting after meeting, after meeting. So I took the decision to go back to my own roots and start a business here. And now after 5 years, we have started to make profit. The first years were very hard. But this is business. It takes time to break even and to start making profit,” says John while revealing that he travels back and forth between Bulgaria and his home country because he also has another job in the Netherlands. He recalls that the first couple of years his project initiated lots of publicity with many media flocking to interview the Dutch baker. “It’s hard to say how famous we are but I think we have serious positions in the market. In two months Easter is coming, and last Easter we created a name for ourselves with our kozunak. Last year, there was a line outside, 70-80 people waiting for at least 2 hours, and it started from 8 am and went on till 9 pm,” he remembers. John says he felt “ashamed” that people had to wait out in the street to buy fresh kozunak. He not only went outside to talk to them but also had his employees serve them warm kozunak and coffee – thus making headlines in the Bulgarian media – as this type of approach to the client is still taking root in Bulgaria. “One of the stories on TV about us that day was about how Bulgaria is a member of the EU, which brings lots of new rules but when you have to understand what it is all about, what really means to be in the EU, you have to look at the Dutch bakery because its owner started to offer coffee and kozunak to those in the line, and those kinds of things, so it was real funny,” he says with a smile. John employs five bakers, five ladies working in the store, and one manager. He praises them as a “perfect team” even though he admits that at the beginning the Bulgarians had some difficulty adjusting to his management techniques. “It was hard for them to understand that I don’t want to punish them, and that when you make a mistake you have to learn from it. It took a long time before they got the point,” he explains making it clear that he had learned a lot about Bulgarian culture but that he had also brought with him his management experience and skills from the Netherlands. John does point out that in the first couple of years when he was really struggling with all difficulties of starting his Bulgarian project, it was his Bulgarian employees who helped him a great deal and encouraged him to persist.